And this has happened to me? I am in Hi-Fi for more than 45 years! And now, this ‘simple’ cable made all my seven Hi-Fi systems sound better than ever before! Unbeleiveable! When I connected the Surprise cable I was surprised (shocked), and impressed. The difference in sound between my existing cable and the “Surprise” cable was clear, obvious, and I could hardly believed my ears. What a clean sound? Excellent resolution! Voices are clearer, and much more distinctive, with a lot of finesse. Fantastic soundstage and Stereo localisation. All records (LP, and CD) sound better. All sounds, voices and instruments are so clean, and undistorted. Listening is a joy, even at much higher volume. No aural fatique. It is like a »clear and sunny« v.s. »cloudy and rainy« day. 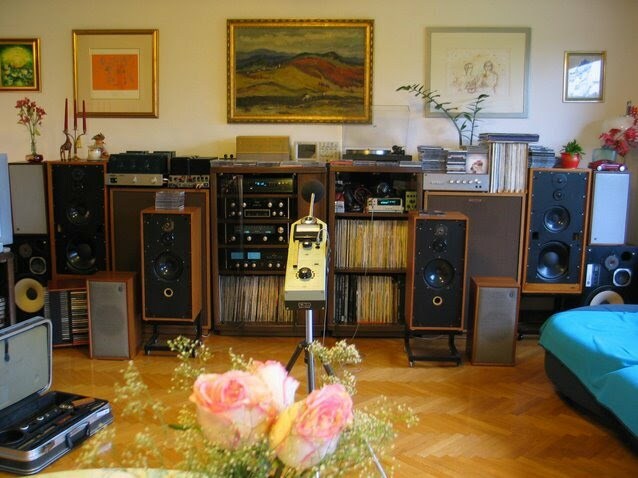 The Loudspeakers: Tannoy 3LS, Klipsch Cornwall, Spendor BC3, Spendor BC1, Rogers Ls3/5a, Linn Sara, Cabasse Dinghy 221, Cabasse Escadre, Klein&Hummel TX-2. The “Surprise” cable: 10/10 (my new reference): rich, detailed, wide, lifelike, clear, clean, present, outstanding, fine, exciting, punch, quick, sharp, soft, natural. Van den Hul cable: 6/10 neutral, good, nice, fine, rich, full, O.K., correct. The differences are very clear. More sound stage, music seems to flow out of the loudspeakers so easily. When I listened to the “Jazz at the Pawnshop” (Klipsch Cornwall, Tannoys), closed my eyes, and turned back from the loudspeakers, I questioned myself: »Am I in the club, or is it a club in my room?”. Amazing! The “Surprise cable” gave the best results. Score 10/10 sets this cable as my new cable reference. All loudspeakers sound significantly better with the “Surprise cable”. This cable is a passive element, no doubt about that … however comparing to some other cables it seems to work like an “active device”, like some kind of a “voice stimulator” … it acts like a “morning coffee” … After 150 hours the sound is just a pure bliss – vocals are so rich, details are amazing, and I hear details that I never heard before! At the moment I STILL HAVE NO VALID OBJECTIVE EXPLANATION about why this cable sounds so good. 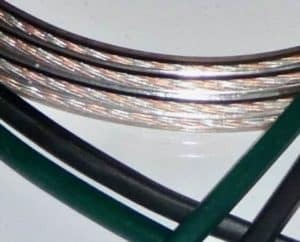 However, I believe that the answers should be hidden, and researched within the following cable properties: MECHANICAL (material-purity, structure, silver-copper combination), ELECTRICAL (phase-coherent signal propagation, conductance, low distortion), and MAGNETIC (magnetic material polarisation). 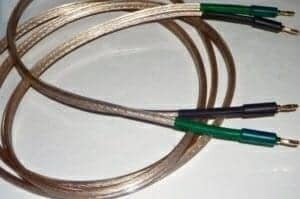 The “Surprise” cable immediately proved it was not a “Mickey Mouse” cable but was a real Hi-end, Very serious and very affordable cable.